Zynga reported flat earnings per share on revenue of $249 million, up 7 percent from the same period a year ago; and bookings of $267 million, up 19 percent year-over-year. On an adjusted basis, income (earnings before income tax, depreciation, and amortization) was better than expected. For the first quarter, the financial picture is more complicated. Zynga guided its bookings target to $325 million, compared to analyst expectations of $325 million. But that number has about $85 million in deferred revenue, where a player may pay up front for virtual currency but not use it over a number of months. In that case, Zynga can only recognize the revenue as it comes in monthly, and not recognize all of the purchase at once. As a result of the deferral, Zynga’s first quarter will have a loss of $59 million on earnings before income tax, depreciation, and amortization. Zynga said its Q1 revenues, which do not include deferred revenue, will be $240 million, compared to $265 million expected by analysts. Wall Street is expecting flat overall earnings in Q1, which means Zynga’s forecast could be disappointing. But that should also be viewed in the context that Gibeau expects 39 percent growth in bookings in 2019. It’s not clear whether investors will be happy or spooked by this report. In after-hours trading, Zynga’s stock price is up 4 percent to $4.70 a share. Gibeau will be a speaker at our GamesBeat Summit 2019, which takes place in Los Angeles on April 23-24. He said the titles that did well were Words With Friends, Merge Dragons, and CSR 2, and it managed its costs well. Of the big games, Zynga Poker fell 7 percent, as it is still recovering from platform changes that Facebook made last year. 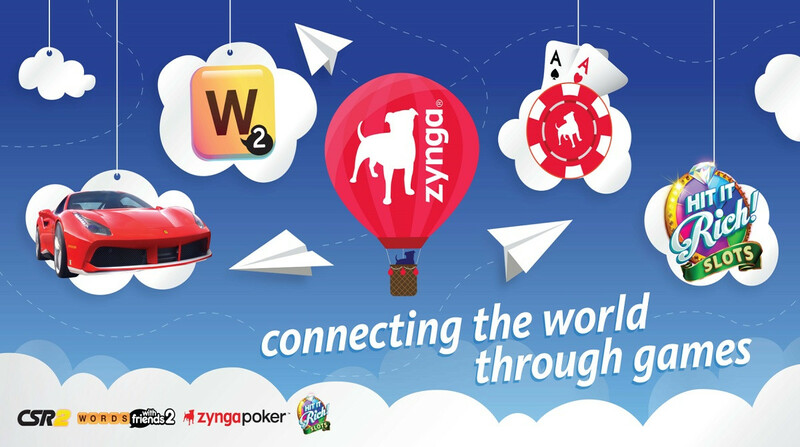 Gibeau said the company is working on updates that will help Zynga Poker get back into growth mode. He noted that in 2018, Zynga Poker matched its performance in 2017, but it didn’t grow as much as Zynga wanted it to. The company reported a third consecutive quarter of net income, albeit it was barely profitable on a net income GAAP basis, and that is still a first since going public in 2011. More significant is that Zynga had its highest operating cash flow quarter since the fourth quarter of 2011. That’s no easy task for a company that has 1,778 employees (not counting 47 more from a recent acquisition). Starting in November 2017, Zynga began making new acquisitions, such as buying Peak Games for $100 million. In May, Zynga also bought Merge Dragons maker Gram Games for $250 million, and then in December, it got a 80 percent of Small Giant Games, maker of Empires & Puzzles, for $560 million. Gibeau said that Merge Dragons! is already being considered as one of the company’s “Forever Franchises,” where Zynga expects to make $100 million a year and sustain the business for five years or more. Merge Dragons grew revenue by 132 percent during the fourth quarter, compared to the previous quarter. Empires & Puzzles was in the top 10 on Android last week, Gibeau said. Gibeau also said Zynga is working on nine major games at the moment. Those include a combination of Zynga-owned properties or licensed titles, including CityVille, FarmVille, Game of Thrones, Harry Potter, and Star Wars. Some of those games will start launching in the second half of 2019, which should put the company on a growth path for 2020, Gibeau said. Above: Zynga has added new Ferrari models to CSR2 in honor of the car maker’s 70th anniversary. Mobile revenue was $228 million, up 12 percent from a year ago, and mobile bookings of $248 million was up 26 percent over a year ago. Mobile ad revenues in the quarter were $69 million, up 23 percent from a year ago. During the quarter, Zynga launched its Wonka’s World of Candy slots game. On an annual basis, revenues were $907 million, up 5 percent from a year earlier. Bookings were $970 million, up 14 percent from a year earlier. In the fourth quarter, Zynga saw stronger player engagement in Words With Friends, better ad network optimization, and contributions from casual card games and Gram Games. CSR2 also delivered its highest mobile revenue and bookings quarter ever, with mobile revenue up 4 percent year-over-year and mobile bookings up 6 percent year-over-year. Gibeau said the Legends update for CSR2 is off to a good start and is engaging players as they collect and restore classic cars. In November, Zynga launched its first match-3 mashup game, Wonka’s World of Candy. The game is delivering on quality with an average 4.8-star rating on the Apple App Store, and player feedback has been positive. Gibeau’s former company, Electronic Arts, reported yesterday that it had a tough quarter in mobile with the launch of Command & Conquer: Rivals. ← Can mindfulness for weight loss curb the international obesity crisis?